Patricia Rogers: What is your favorite subject to paint/photograph? Why? Irene Pomianowski: Photographing people is my favorite subject because I feel there is a soul and an unknown story behind every face. In my favorite photos, I hope I captured just one fleeting moment of that story. Although I consider composition and contrast, I would like the viewer to connect with the subject and wonder "who is he or she?" I am also an admirer of Henri Cartier-Bresson and Street Photography. And then I do something just because it's fun! 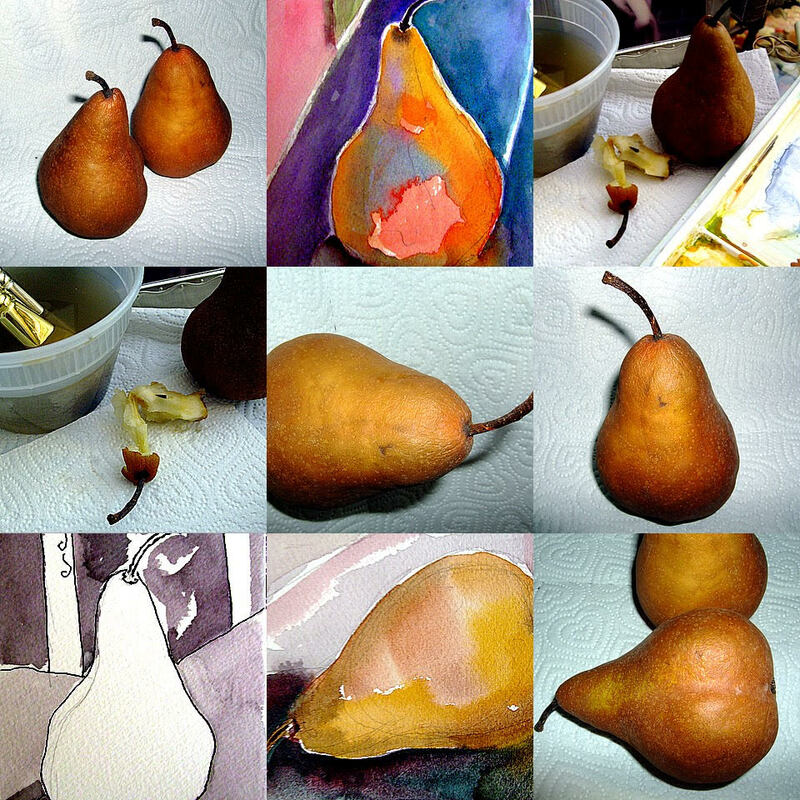 This is my "Starving Artist Collage;" photograph the pears; paint the pears; eat the pears! But painting is a whole other side of my brain. When I photograph a landscape or seascape, or an architectural detail, I see an abstract painting. Which exhibitions have you exhibited at the Firehouse Gallery? "Open Orange" - This was the first time I ever had my work exhibited in a Gallery, so I refer to myself as the "Grandma Moses" of photography! I was accepted for the juried exhibitions "Open Orange" in May 2014 and "Slice of Orange" in October 2014. There is a juried Open Orange exhibit coming soon, but I missed the application deadline. How did you feel about being in a group show with other local artists? Besides the Firehouse Gallery exhibitions, the upcoming Exhibit at the West Orange Gallery in May will be the first time I will be in a show with four other local artists. I am looking forward to seeing their work and meeting them. How did you come to the Valley Arts District? What attracts you about the Valley? 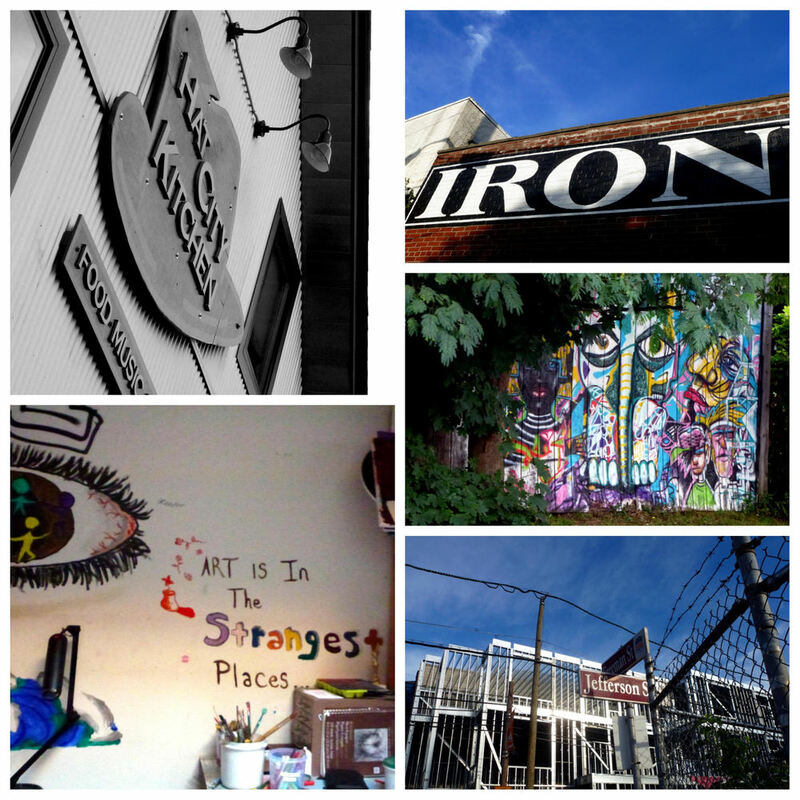 My first introduction to the Valley Arts District was taking the walking tour. A photo I took was included in an article written by another tour participant. I was so excited about what was happening right in my own backyard (literally... our Rear Garden is located in Orange) that as a Newark Museum volunteer, I arranged for the Walking Tour to be part of the Museum's annual volunteer trip, including a backstage visit to Luna Stage and a delicious buffet luncheon at Hat City Kitchen. 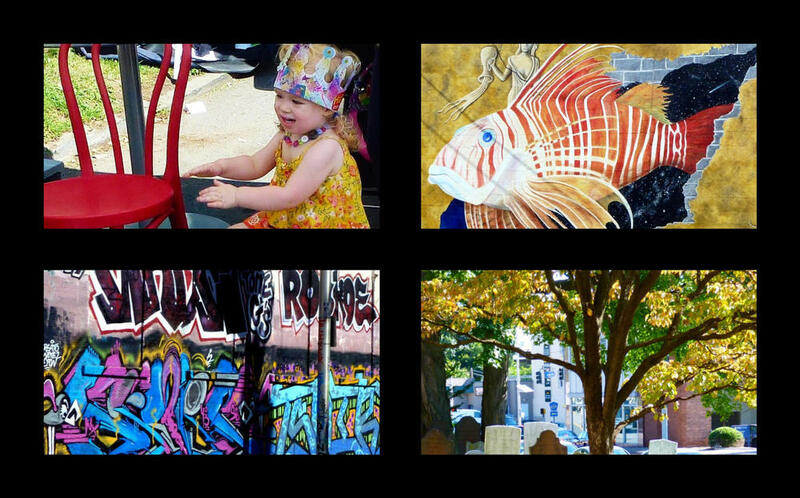 What do you do for fun in the Valley Arts District? what else have you seen at Luna Stage? I have been a Season Pass holder at Luna Stage for several years and have seen many excellent and exciting performances. One of the most memorable was American Moor, a 90-minute solo play written and performed by Keith Hamilton Cobb. It was Shakespeare's Othello as seen through the life experience of the actor. What do you like about living in two cities? How has your photography benefited from that? What an interesting question... I have actually lived in "two cities" most of my life. As a kid, I lived in Lambertville, NJ, and often walked across the bridge to New Hope, PA; I also lived in both Manhattan and Brooklyn, and walked the bridge between them; and for the last 33 years, I've entered my 14th floor apartment from East Orange, while the bedroom windows overlook the Rear Garden which is in Orange! As a photographer, I get to take pictures of the changing seasons in both cities, the sunrise in the East and sunsets to the West, and the most amazing Fireworks on July 4th. My photographs of the Garden were used in articles in both the Newark Star-Ledger and the South Orange Patch. What do you like about living in Harrison Park Towers? It is a beautiful building, well-maintained by an efficient staff. There are great amenities, such as the large garden, in-house Fitness Center, Community Room, 24-hour Door Attendants, and a Commuter Van between the building and the Brick Church Train Station with Midtown Direct Service to Penn Station, NY. More details can be found on the Website harrisonparktowers.com; I took the photos of the building and grounds. 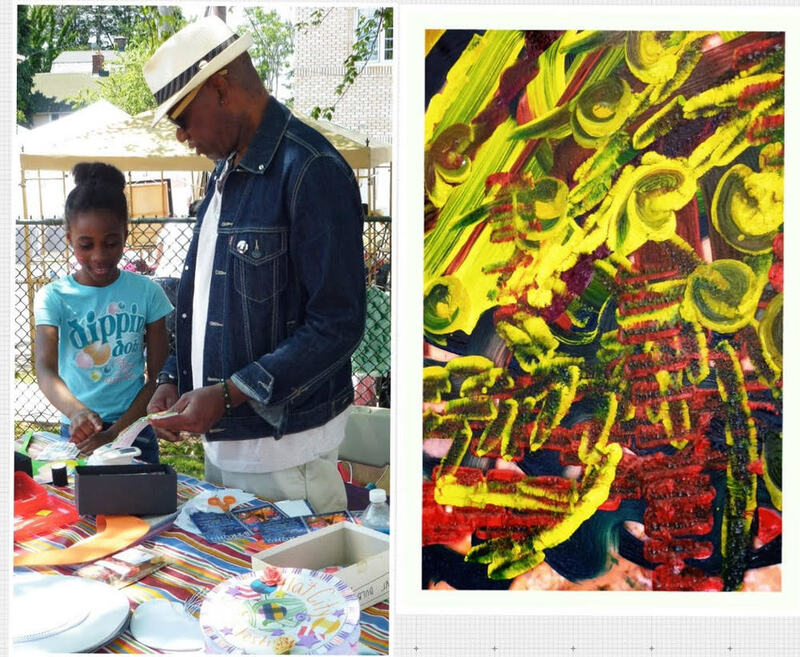 Among our residents we have Artists, Musicians; at least one poet and one playwright; a Board Member of the East Orange Arts Council, and four residents who are Volunteer Docents at the Newark Museum. Over the years, I have made good friends with caring, considerate and fun neighbors. It's kind of an inside joke, but I've been nicknamed "the short sister." Just last night, five of us attended the Luna Stage production of Old Love New Love. What is the Secret Garden? Describe where you live to an artist who may want to move there? The garden was designed by William T. Gotelli who was the contractor who built Harrison Park Towers in 1956. It was first named "the Secret Garden" in the 2005 Star-Ledger article because you can only see it from inside the Rear Lobby of the building. It was built on top of the two-story underground parking garage. While Harrison Park is not specifically designed for artists, there are a number of residents who are artists. We featured them in a recent issue of our newsletter. There are great views, and the convenient location by car or public transportation. Talk about your journey as a photographer/visual artist. A Valley Arts Drink & Draw class is on my "to do" list. Perhaps Craft Beer will inspire Orange-ian Artists the way Absinthe inspired the Parisians! If you were not a visual artist, what would you be doing? Perhaps a Travel Writer, or a Food & Wine Critic... but at age 81, I don't think there's much chance of that happening! How do you want your work to make an impact on the world? If people would just take the time to really see one another (even if it's only in a photograph), perhaps we would stop hurting one another. The ability of an artist to create a visual representation that connects to the viewer, without the need for words. This becomes a new work of art that is a collaboration between the artist and the observer. ...Or as my friends would say, "OK, Irene... no more wine for you!" Tell us about any future projects, exhibitions you have coming up. A future project may be a series of photographs entitled "Men in Hats." That might be an appropriate exhibit for Hat City Kitchen... don't you think?